Plans from the XXth century plus TWO MORE! Plans from the XXth century: From 1850 till today is a gaming aid aimed to make the GM's life easier, presenting a collection of places usually visited during an investigation, action or horror scenario. From the simple hotel room where to look for clues, to the unavoidable end at the local Police Station, this book covers fifteen locations where, sooner or later, your PCs will find themselves. All the plans have been created to be usable in the different eras through which different games expand. 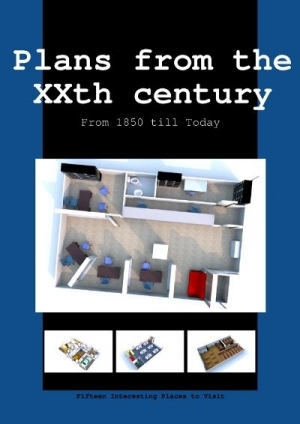 In the cases where the change in size or distribution is too big, we offer several versions of the plans for different eras (an office before and after the use of computers, for example). All the plans are unprotected and selectable, so you can copy and paste them into your own documents and handouts! *If you do not want to buy the full book but are interested in individual plans, you can buy them from our section in DriveThruRPG/RPGNow.